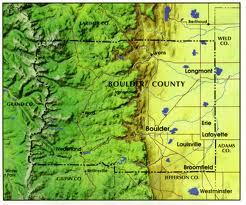 Boulder County is the most educated county in United States. There’s a high percentage of highly intelligent residents, which is its greatest asset for attracting and retaining strong employers and employees. Boulder real estate is healthy, a sure sign of good times coming. It’s all about jobs. Strong jobs equal strong Boulder real estate. Numerous high tech businesses in the Boulder Valley Corridor are starting to hire. When I asked a local head hunter if there were going to be a lot of out of town people coming in she said “there seems to be a robust amount of talent available in the area right now.” Of course as time goes by the tech area will need more and more talent to feed the demand. Many high schools in Boulder County offer special programs such as Skyline High School in Longmont that offers the Scientific Technology Engineering and Mathematics (STEM) program, a magnet component that prepares students to excel in science and math related fields. Also with the onset of the International Baccalaureate Program in numerous schools in the Boulder Valley; Boulder schools could help “grow” their own work force and provide opportunities for our children’s future by implementing similar programs in all schools. Boulder offers a quality of life that attracts and keeps people here. It’s a life that can’t be beat. We love our Boulder real estate and we often come up on lists for a very high quality of life. A lifestyle robust in fitness, with running trails right out our office door, world class organic food, home grown brews, entertainment, high intelligence, happy people, entrepreneur heaven, skiing and snowshoeing nearby, dog friendly areas and many opportunities to enhance our lifestyle. Michael grew up near Santa Fe and is a longtime resident of Boulder and has been with Sotheby’s International Realty since their inception in Boulder County and along the front range. If you have questions regarding this article or would like information about Boulder real estate or Boulder Luxury Real Estate check out my website. You may also call or TEXT me 303-359-6627 or e-mail Michael Hughes is a (CNE) Certified Negotiation Expert and full time Realtor at Fuller Sotheby’s International Realty in Boulder, CO. What’s your lifestyle? I take great pride in my in-depth knowledge of Colorado luxury home market trends, research-based pricing strategies, having a powerful network of qualified luxury home buyers, first-hand Boulder real estate insight and proven 16 year track record of selling unique Denver and Boulder luxury real estate.